In September, the band rocked the set’s title track in Minneapolis, MN, “Battery” in Grand Forks, ND, and “Welcome Home (Sanitarium)” in Saskatoon, SK, followed by “Leper Messiah” in Buffalo, NY in October and “Battery” in Sacramento, CA in December as part of one of their final shows of 2018. The group’s major label debut, “Master Of Puppets” became thrash metal's first platinum album on its way to US sales of more than 6 million copies. 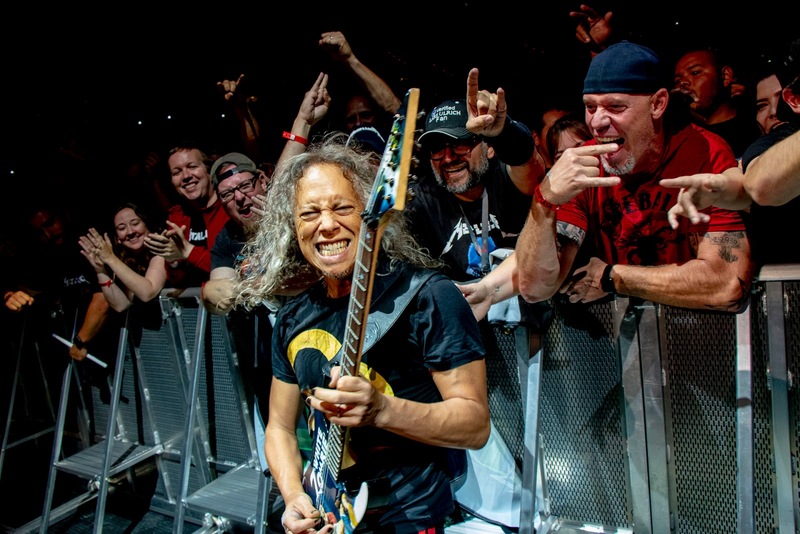 Prior to resuming the North American leg of the WorldWired tour in support of 2016’s “Hardwired…To Self-Destruct” in Tulsa, OK on January 18, Metallica will next be seen performing at the “I Am The Highway: A Tribute To Chris Cornell” show at The Forum in Los Angeles on Wednesday, January 16. Hosted by Jimmy Kimmel, the event will feature performances from the Foo Fighters, members of Soundgarden, Temple Of The Dog and Audioslave, Ryan Adams and many more.